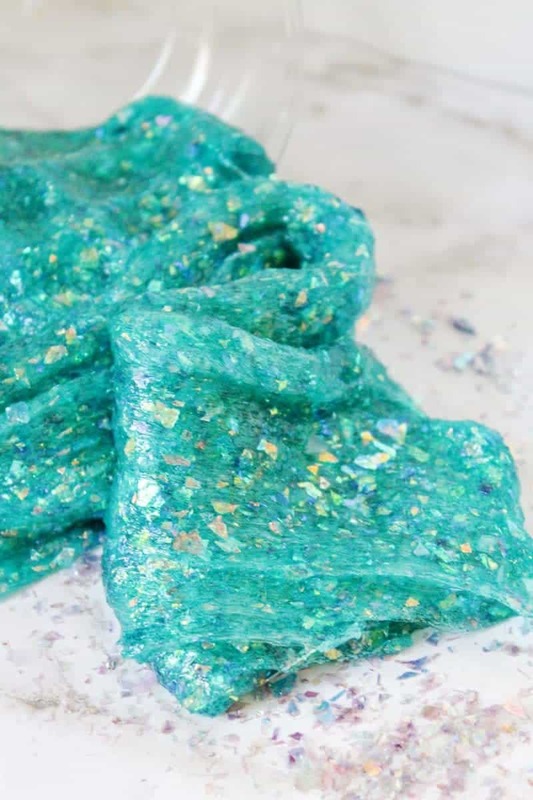 Borax-free sparkly mermaid slime is an easy kids activity perfect for your mermaid party! 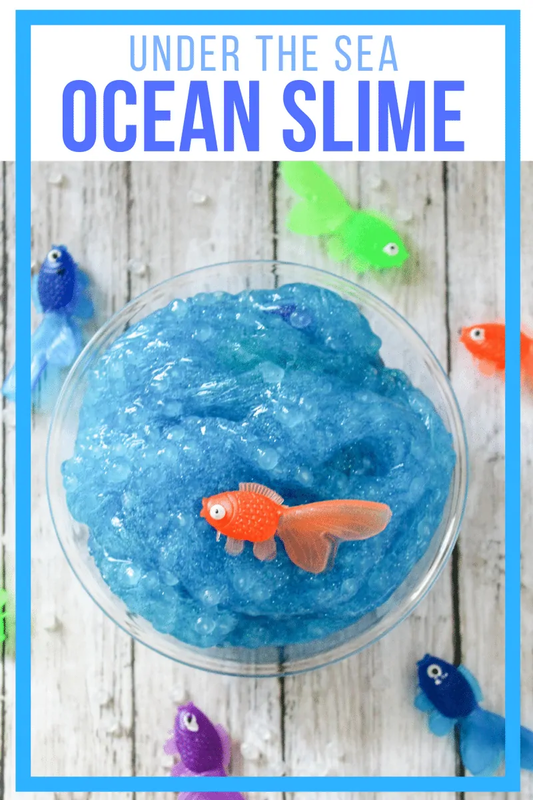 We had such a blast making our under-the-sea slime that we wanted to try another ocean themed slime recipe as well. What are two things that little kids are totally into right now? That’s right: slime and mermaids. 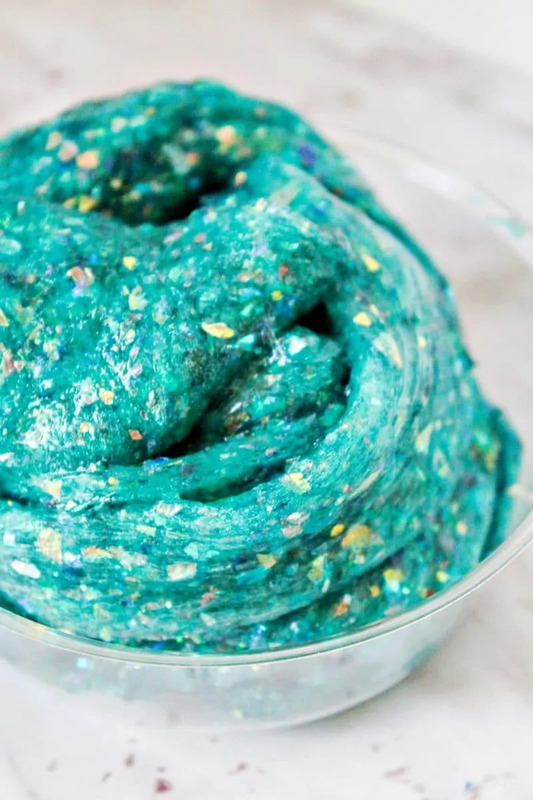 What could be more fun that combining the two to make Mermaid Slime? 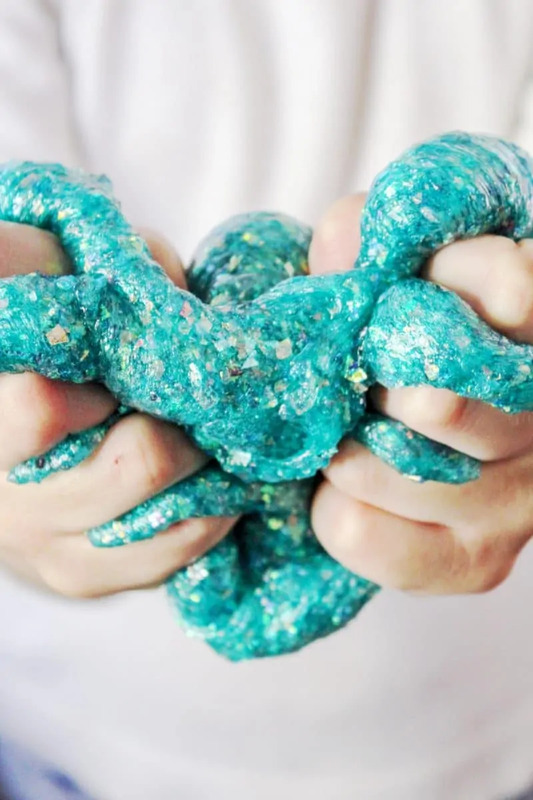 This glittery teal slime is going to be a huge hit with all the kids, not only the little girls. 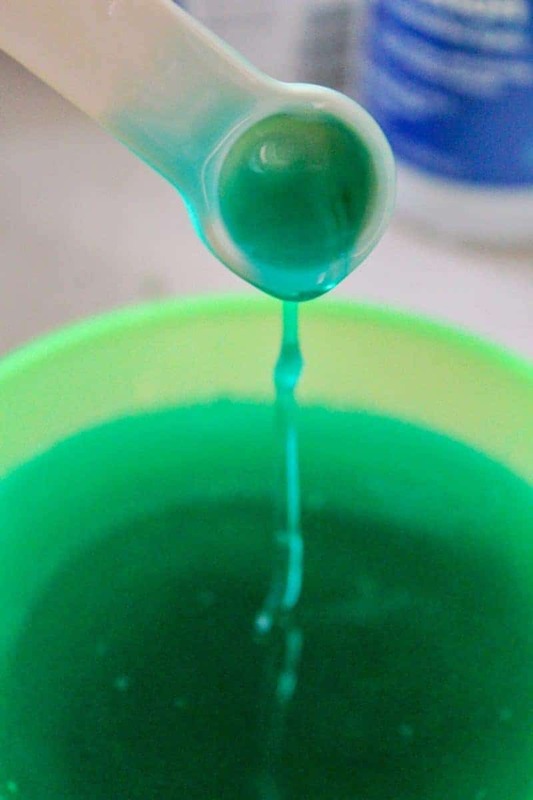 You can color the slime any color you would like, but I’ve included instructions on how to achieve the color found in the photos. 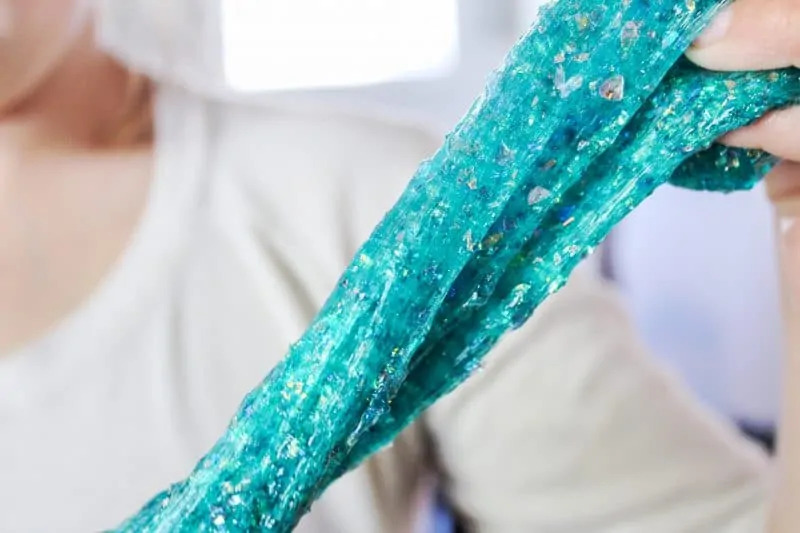 Also, it is important to note that this beautiful mermaid slime is made without borax. 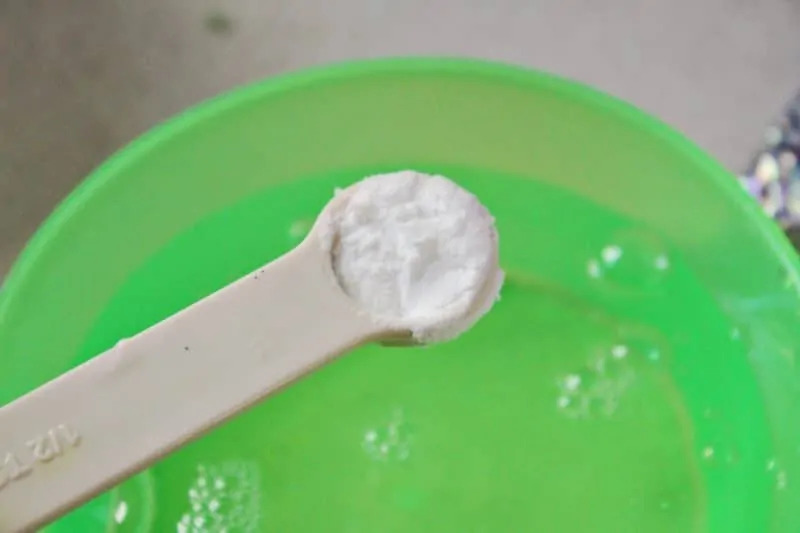 As you will see, this slime recipe calls for saline solution (contact lens solution) instead of borax. 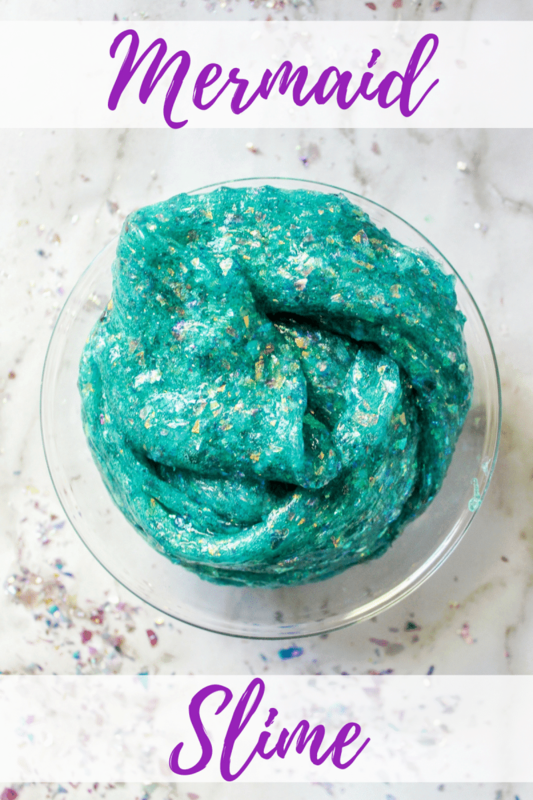 If you are looking for a slime recipe that uses borax, check out this pom pom slime recipe instead. 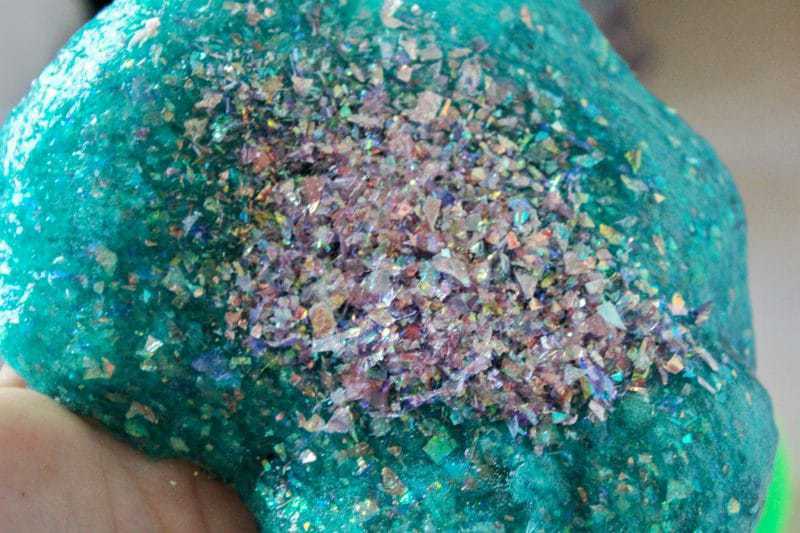 This would be the perfect activity to do with the kids at a mermaid slumber party or mermaid birthday party. How cute would that be? 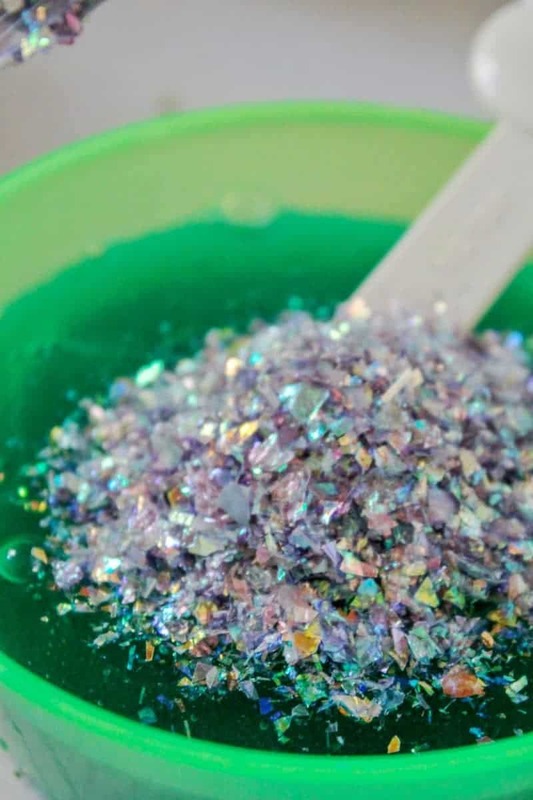 You could put a little bit of mermaid slime in a small container for each child so that they can take some home with them as their party favor. For even more fun, you could try making several batches using different colors. 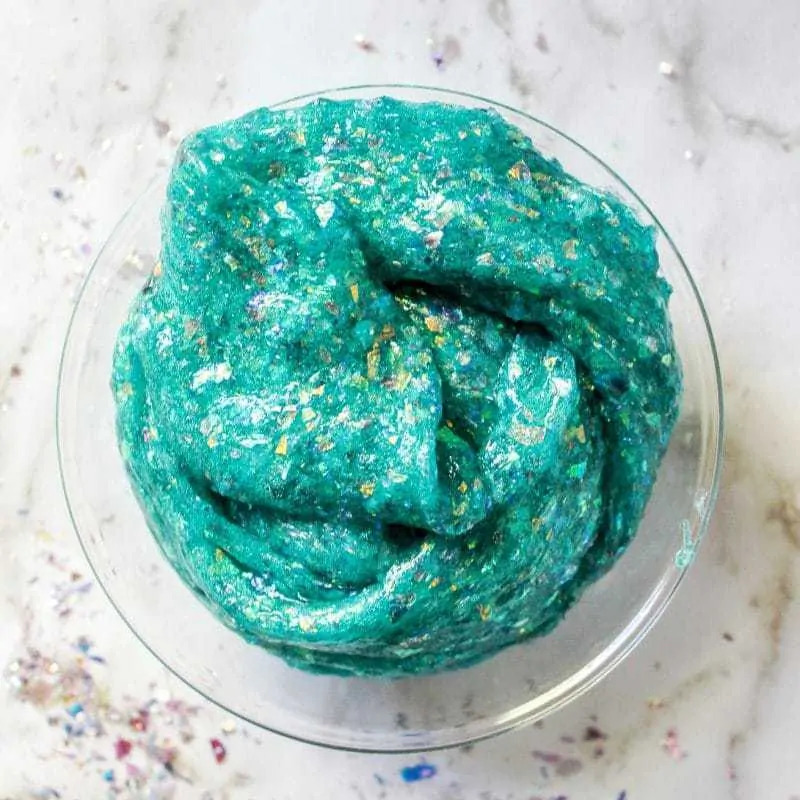 Whether you need a mermaid party activity or just a fun new recipe for slime, this mermaid slime is sure to be a big hit. For the coloring, you will notice that we used soap colorant. 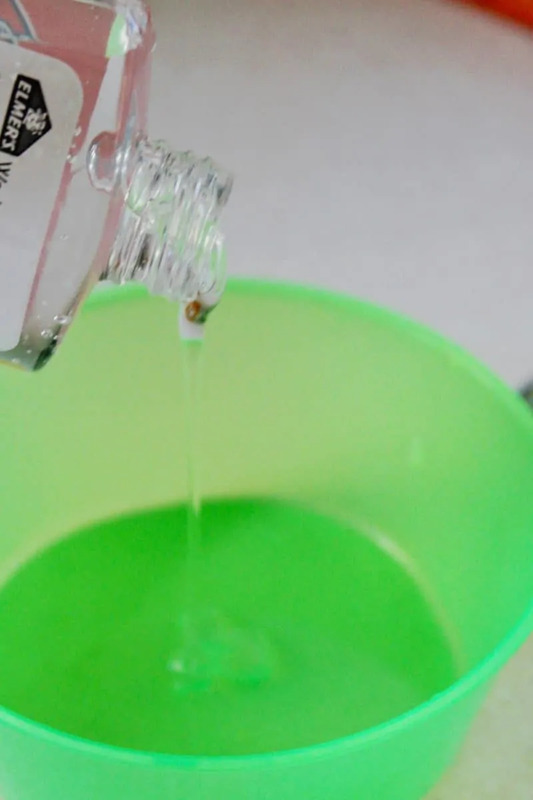 You can use food coloring or soap colorant, and either will work. 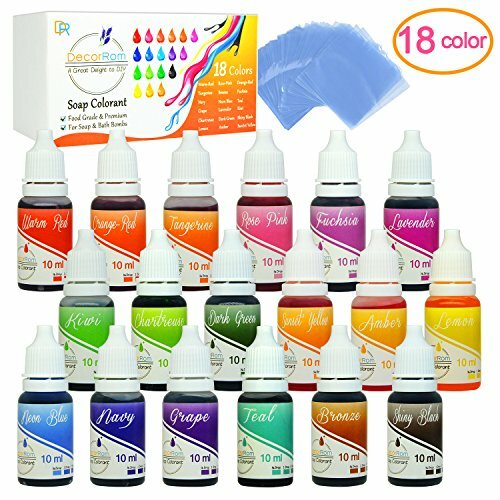 I choose to use soap colorant simply because the box includes lots of great color choices and I have found that it doesn't leave any color behind on your hands. But really, either coloring will work! 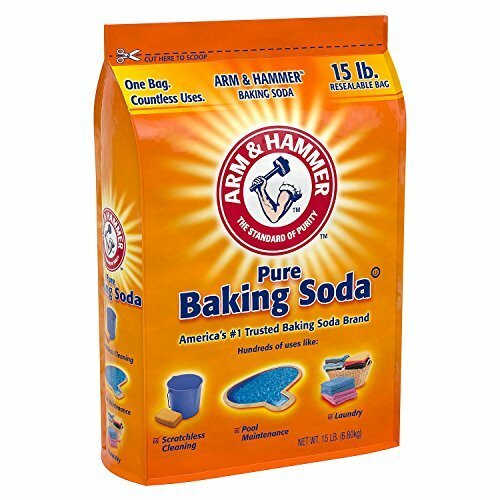 and baking soda to a small bowl. Stir to combine. 2. Add a few drops of coloring (we used a few drops each of neon blue, kiwi green, and teal). 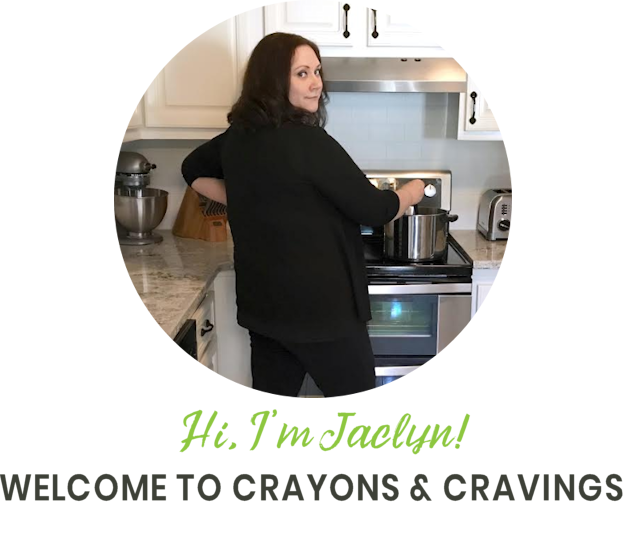 Stir to mix well and add in additional drops of coloring if desired. 3. Next, add glitter. 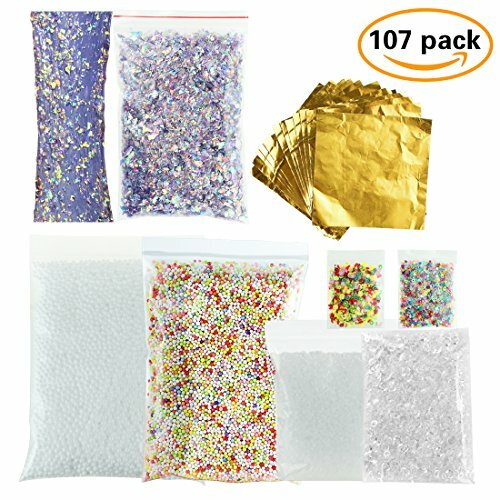 We used the Mermaid Glitter from this glitter kit. 4. 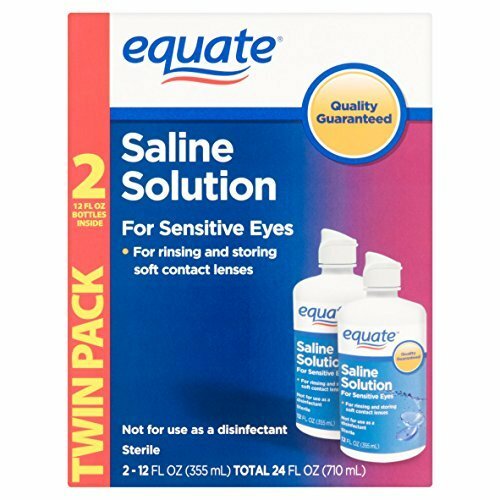 Then, add saline solution. 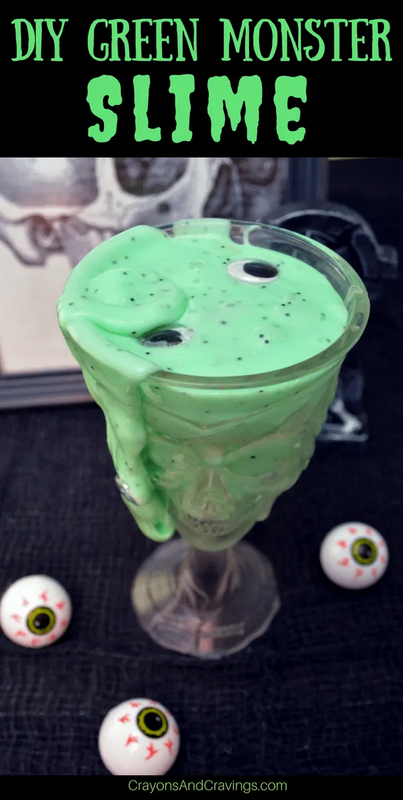 You will see the slime instantly begin to form. 5. 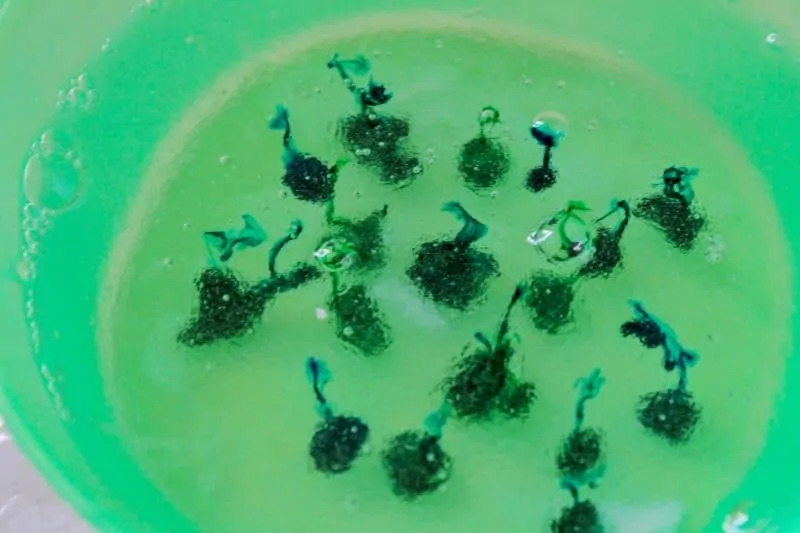 At this point the slime will be very sticky– but don't panic! 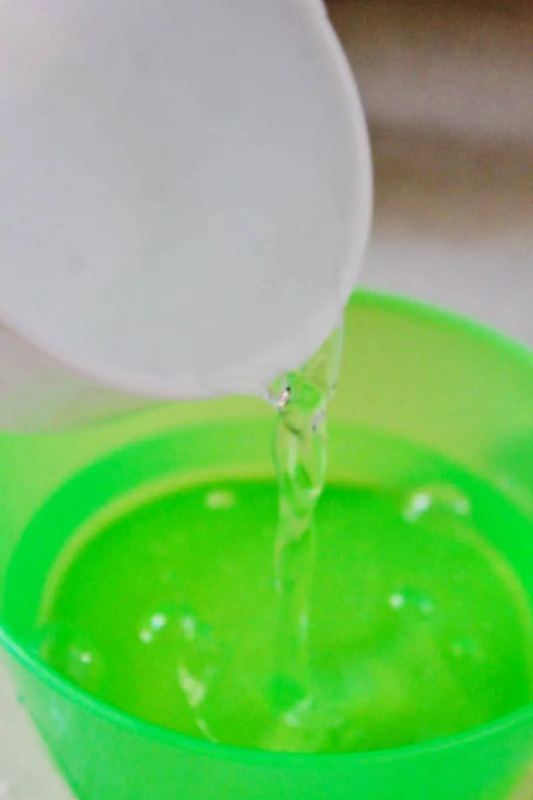 Just continue to mix the slime in the bowl until it becomes better formed. Then, knead the slime until it is no longer sticky. 6. Add additional glitter until you get the look that you are going for. 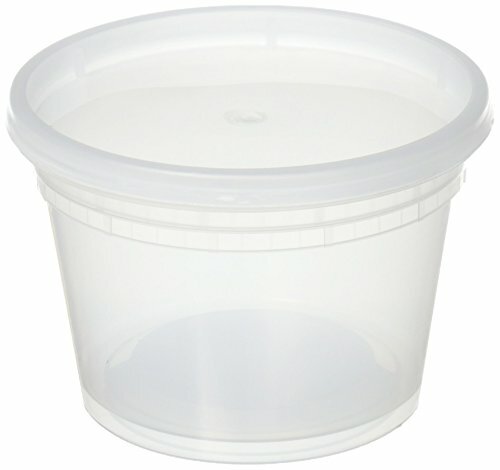 When the little ones are done playing with their mermaid slime store it in an airtight container. 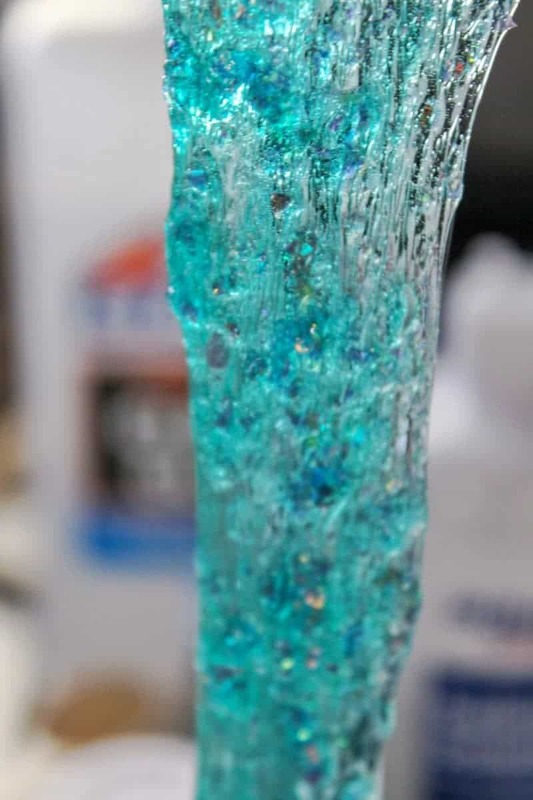 (Sparkly Mermaid Slime (without Borax) I really do like that you can make many of these awesome slims without using Borax. Much safer that way I think. Going to make some of these with my five year old grandson sometime soon. How fun is that! 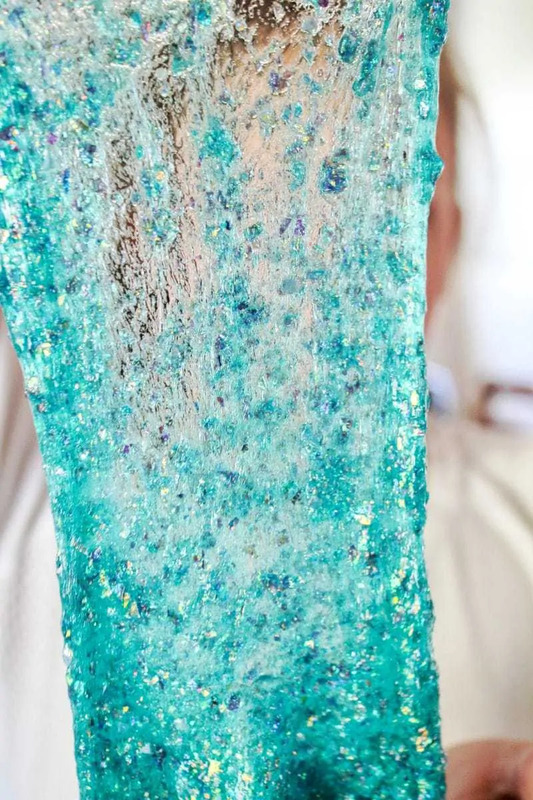 This would be a great DIY take home for a mermaid party. 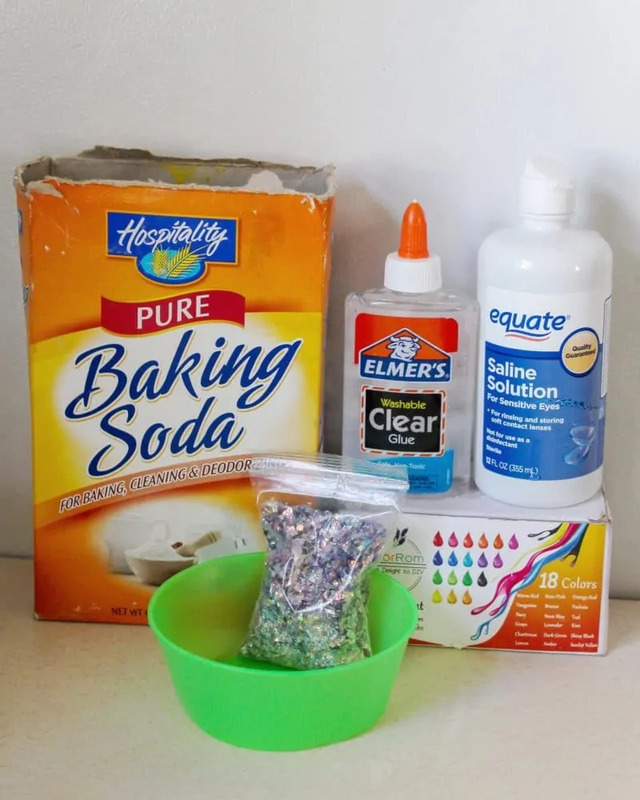 It looks easy and I’m glad it is Borax free.